The 2018 cycling season is here and it is always a fun time of year when the new cycling team kits are unveiled! 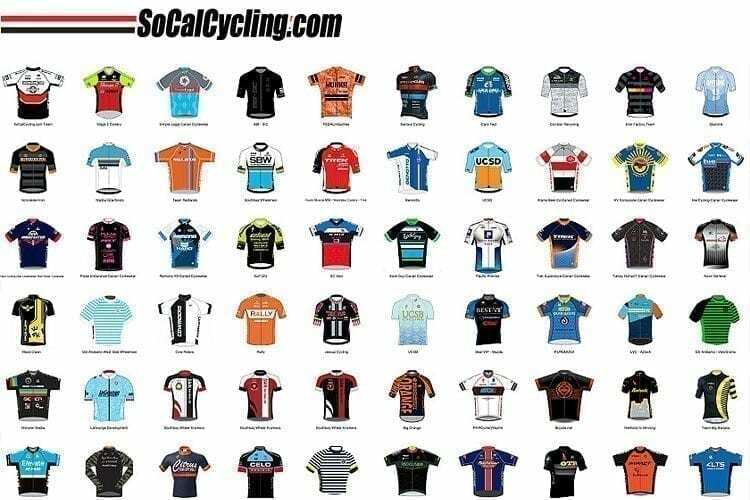 Once again, SoCalCycling.com would like to feature everyone’s Cycling Team and Club kits and give your Team the chance to show off your design and represent your sponsors. To be included, please send the artwork illustration created by your clothing manufacturer to [email protected] by January 12th. Your illustration will be uploaded to and featured on SoCalCycling.com’s Flickr and be featured in a Flickr slideshow on SoCalCycling.com. The illustration should be in the largest size possible and we will scale if needed.